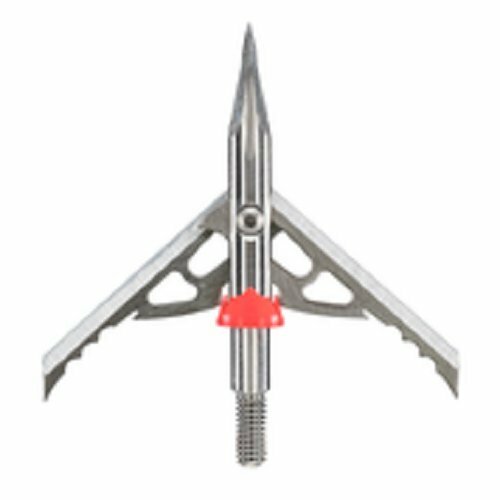 Rage Hypodermic Trypan Broad heads are Rage's scariest broad head yet. Led by a needle-like, streamlined titanium ferrule, the Hypodermic Trypan takes the popular Hypodermic broad head design to the next level. The broad head's Trypan-specific, polymer Shock Collar delivers exceptional blade retention and consistently reliable blade deployment for true flight and deadly impact. If you have any questions about this product by Rage, contact us by completing and submitting the form below. If you are looking for a specif part number, please include it with your message.